Glenelg is a popular beach-side suburb of the South Australian capital of Adelaide. Located on the shore of Holdfast Bay in Gulf St Vincent, it has become a popular tourist destination due to its beach and many attractions, home to several hotels and dozens of restaurants. 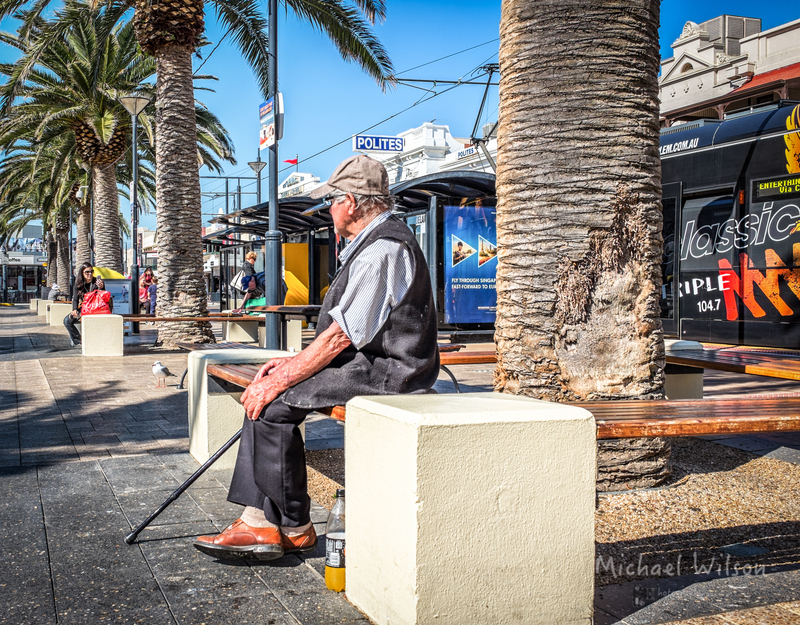 This entry was posted in Uncategorized and tagged Adelaide, Adelaide Street Photography, colour, colour fx pro, Glenelg, Lightroom, Photography, Street Photography. Bookmark the permalink.